Umkolwana Photography Tour to Uganda for an opportunity to view the Lowland Gorilla and to the Mara triangle, in the world renowned Masai Mara. The large numbers of wildlife are a photographers dream. 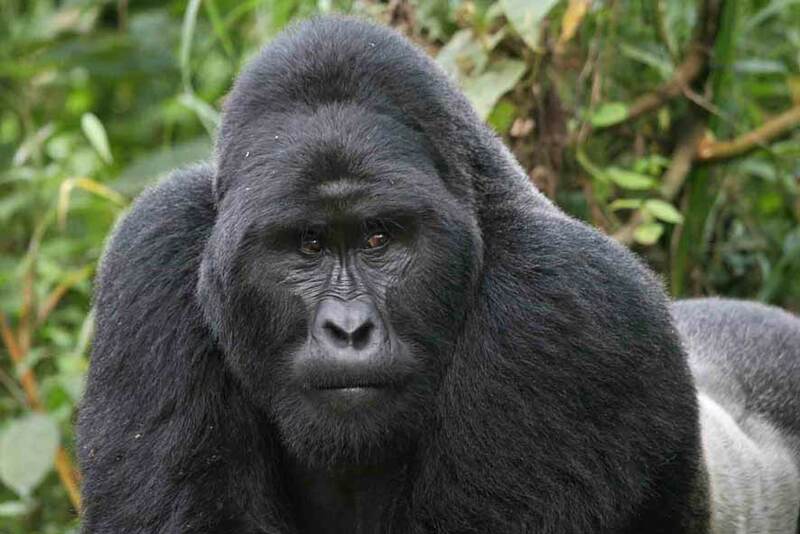 Join an Umkolwana Photography Tour to Uganda for an opportunity to view the Lowland Gorilla in the Bwindi Impenetrable Forest and tick this amazing experience off your bucket list. We'll spend 3 nights trekking for these incredible, endangered primates from the our comfortable and luxurious accomodation. We next head to the Mara triangle, in the world renowned Masai Mara. The large numbers of wildlife are a photographers dream. 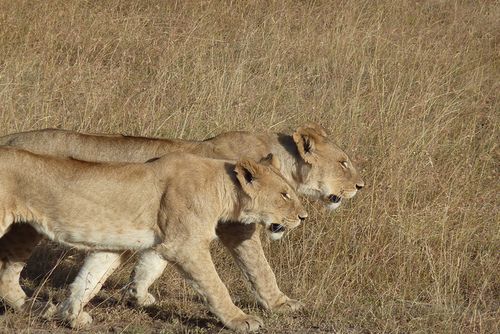 We will have the opportunity to see Lions, Cheetah and an array of incredible wildlife in their natural environment. Through all the tours, Umkolwana shall provide a professionaly trained guide to accompany you with hands on knowledge. Let us make your dreams of Africa a reality. On arrival at Entebbe International Airport, proceed to passport control, luggage collection and customs. Once completed, we undertake a road transfer to the hotel. On arrival a late lunch shall be served in the main lodge. The afternoon shall be spent at leisure allowing you to settle in and acclimatize to your surrounds. Perhaps an afternoon guided bird walk will entice you to explore the surrounds before Dinner at the lodge. After an early breakfast served at the lodge, you shall be transferred by road to Bwindi Impenetrable Park headquaters. Here you shall be allocated a guide for one of the habituated Mountain Gorilla families and given the required safety briefing. You shall then be transferred by vehicle to your starting point and the commencement of your gorilla trek into the forest. 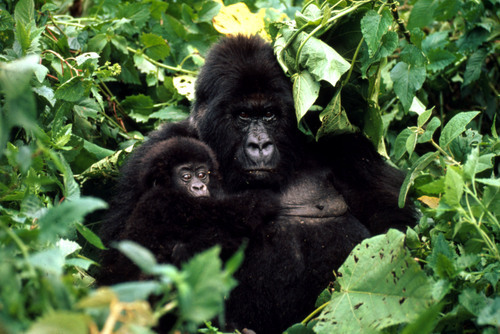 The period of time spent walking is dependant on the location of the Gorilla family allocated to you. On finding the Gorilla family, you are allocated a maximum of one hour viewing the family. You then return by vehicle to the edge of the forest and return to the lodge for lunch. The Afternoon is spent at leisure. There are community and conservation projects to be visited. and Dinner is served at the lodge. 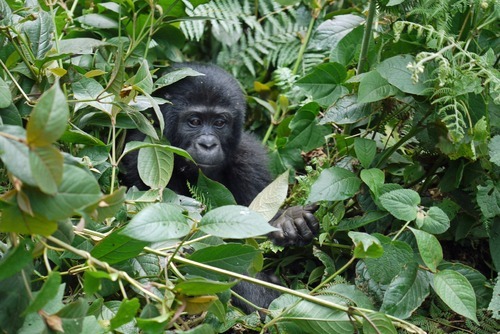 After an early breakfast served at the lodge, you depart for your second Gorilla trek. You return to the lodge for Lunch. The afternoon can be spent at leisure. Dinner is served at the Lodge that evening. 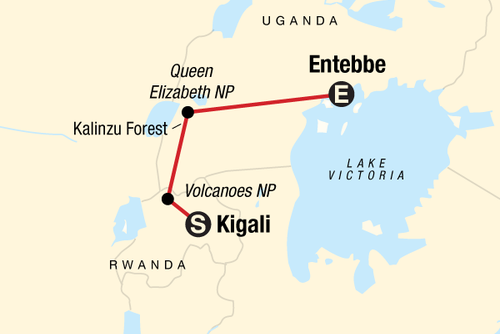 After breakfast, we depart on a road transfer to Entebbe International Airport. On arrival at Nairobi Jomo Kenyatta International Airport proceed to passport control, luggage collection and customs. 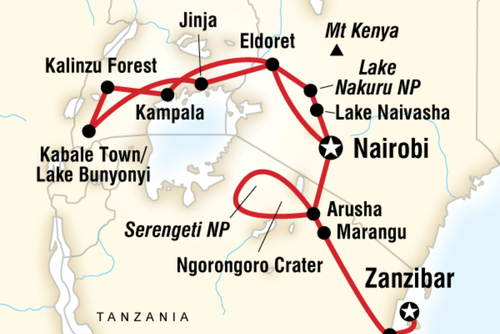 Once completed, you meet for a connecting flight to the Masai Mara. 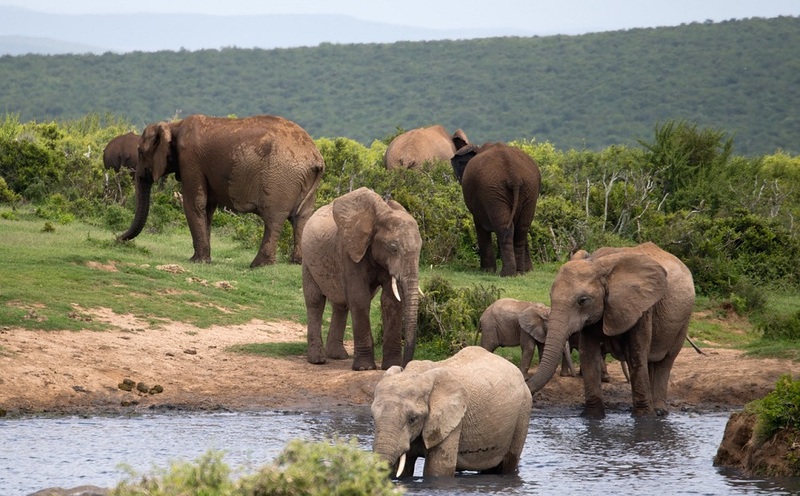 Settle in to your accommodation before your first afternoon Game Drive. We return to camp, with some time to freshen up before dinner at a special venue. The schedule for each day on Safari follows a similar pattern but can be adjusted according to requirements of the group; All meals are inclusive. An early morning wake-up call is followed by coffee, tea and a muffin before morning safari begins. Morning safari is normally 3 hours in duration, with a coffee and nature stop during the safari, dependant on sightings and guest requests. We return to camp for a full breakfast. Should you wish to join, there will be a photographic workshop before lunch by our photographic guide. The middle of the day can be spent at your leisure. A spa treatment for own account or just relax in the peaceful environment. Lunch is served between noon and 13:30. Before afternoon game drive, afternoon tea provides a small snack and liquid refreshment. Afternoon drive will be around 3 hours in duration, with a sundowner and nature stop during the safari, as per morning drive. We return to camp, with some time to freshen up before dinner at a special venue. The schedule for each day on Safari follows a similar pattern but can be adjusted according to requirements of the group; All meals are inclusive. An early morning wake-up call is followed by coffee, tea and a muffin before morning safari begins. Morning safari is normally 3 hours in duration, with a coffee and nature stop during the safari, dependant on sightings and guest requests. We return to camp for a full breakfast. Should you wish to join, there will be a photographic workshop before lunch by our photographic guide. The middle of the day can be spent at your leisure. You can partake in a bushwalk on request, a spa treatment for own account or just relax in the peaceful environment. Lunch is served between noon and 13:30. Before afternoon game drive, afternoon tea provides a small snack and liquid refreshment. Afternoon drive will be around 3 hours in duration, with a sundowner and nature stop during the safari, as per morning drive. We return to camp, with some time to freshen up before dinner at a special venue. An early morning wake-up call is followed by coffee, tea and a muffin before morning safari begins. Morning safari is normally 3 hours in duration, with a coffee and nature stop during the safari, dependant on sightings and guest requests. We return to camp for a full breakfast. We are transferred to the Airstrip for our departure to Nairobi Jomo Kenyatta International Airport for our departure flights home or to extension destinations. Cost is per person sharing: From $9100 per person Included: - These are privately guided tours. We shall provide a qualified Safari Guide to accompany you at all times. - All Accomodation as per tour itineraries. - Meals as per Tour Itineraries. - All entrance and activity fees as per tour itineraries. 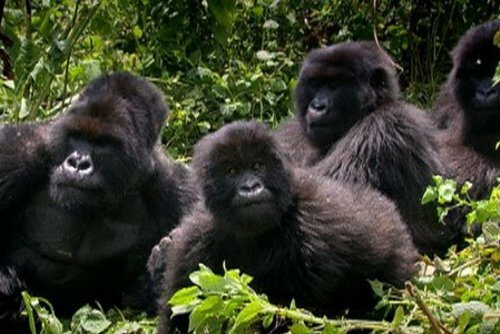 (2x Gorilla Permits at $750 per person included) - All ground transfers & transportation as per itineraries excluding late night transfers and vehicle transfers of a personal nature. - All wildlife activities as per itineraries. - Baggage Handling. Excluded in Tour Programs: - All International and domestic (US and Africa) airline tickets, applicable airport fees and taxes. - Extra fees associated with tourist attractions or activities not included in the tour itineraries. 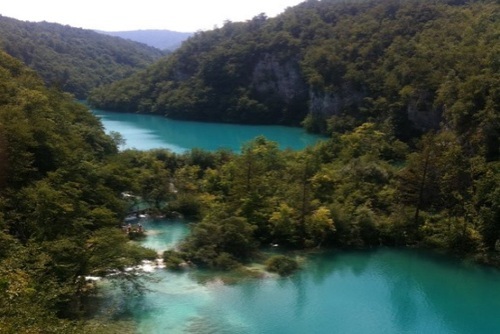 - Any tours not mentioned in the tour itineraries. - Any transport, transfers or after hours transport not included in the tour itineraries. 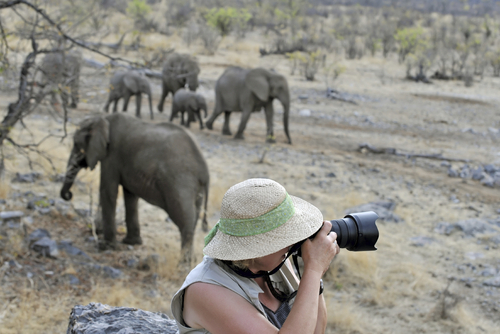 - Any optional extra activities offered in Game Reserves. 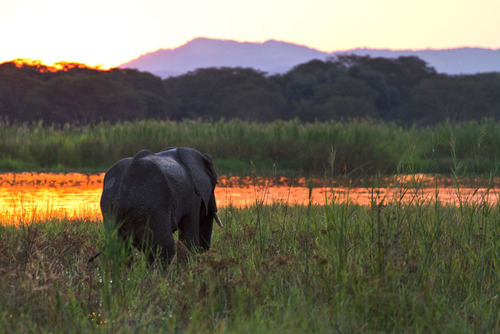 - Visas: Zimbabwe obtainable on arrival at an airport costs between $30-$45. Tanzania obtainable on arrival at an airport cost $100. - Personal and Medical Travel Insurance - Individual Tips and Gratuities. - Any costs of a personal nature: Telephone calls, bar bills, drinks, room service, laundry, refreshments, snacks, curios, gifts etc. We provide custom tours with no fixed departure dates. 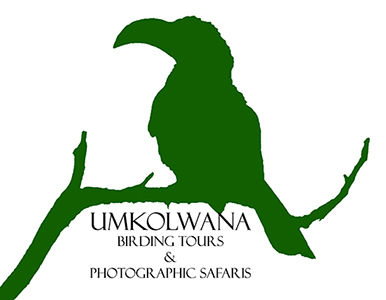 Have you booked with Umkolwana Birding Tours and Photographic Safaris? Please share your experience and submit your review.